The debut film from Jeff Nichols, Shotgun Stories stars Michael Shannon as Son Hayes who, along with his brothers Boy (Douglas Ligon) and Kid (Barlow Jacobs), starts feuding with his half-brothers Mark (Travis Smith), Stephen (Lynnsee Provence), and John (David Rhodes) after their father dies. This is personally my least favorite Jeff Nichols film, due to its extremely slow pace and the payoff of the film doesn’t feel tantamount to the story. The acting is great, and the location makes you feel like you’re in the same small town as the Hayes brothers, but the loose ends that are left are deeply unsatisfying. Watch and see what I thought of this recent sci-fi release! I absolutely LOVED this film. Mud follows two young boys, Ellis (Tye Sheridan) and Neckbone (Jacob Lofland), who one day discover a man named Mud (Matthew McConaughey) on their river excursion. They soon are smuggling food to him and trying to bring the love of his life, Juniper (Reese Witherspoon), to him so they can run away and live happily ever after together. Of course, things aren’t as hunky-dory as that. They’re embroiled in a perilous situation, and both boys are struggling with family issues and the growing pains of becoming young men. The acting is superb, and the locations are appropriately muggy and swampy. I genuinely cared for each of the main characters, and wanted them to live happy lives. This is a slow-burning film, but if you have patience, you’ll be deeply rewarded. Woody Allen’s love letter to the days of radio is warm and funny, with plenty of charm. 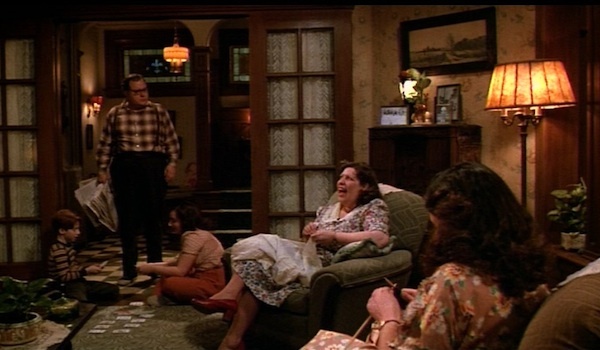 In 1942, a crazy family’s daily life is chronicled via flashback by the main character (Allen himself), with the rose-colored glasses of nostalgia firmly in place. I connected with his character, due to the fact that radio influenced his life and made him the man he is in the present day. A sweet, dysfunctional treat. I just watched this classic John Hughes film for the first time, and even though I found it charming, it didn’t wow me as much as I thought it would. I loved the character of Ferris (Matthew Broderick), and his friendship with Cameron (Alan Ruck), but didn’t really find this film very funny or relatable (a common problem with Hughes films for me). I went into Patty Jenkins’ portrayal of Aileen Wuornos (Charlize Theron), expecting a film about the murders that Aileen committed and how she became a serial killer and how she was finally convicted. Instead, this is more of a lesbian love story, with murder sprinkled throughout. It felt like I was watching a Lifetime film, albeit with an incredible performance by Theron. A good film, but just don’t go in thinking you’ll be watching a show chronicling Aileen’s crimes and motivations. Mike Mills’ loving film, dedicated to mother, follows the life of Jamie (Lucas Jade Zumann), as he lives in a house with his mother (Annette Bening), a teenage girl he has a crush on (Elle Fanning), a young woman battling cervical cancer (Greta Gerwig), and a man who helps out around the house (Billy Crudup). All of these characters teach Jamie how to treat women and be a respectable man. 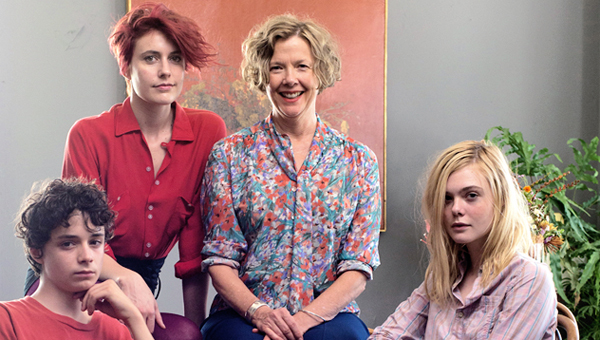 I thought 20th Century Women was smart, warm, and witty, and loved the eclectic cast of characters. I actually really enjoyed the 2017 live-action adaptation of Mamoru Oshii’s groundbreaking original anime (itself based on the popular manga). Rupert Sanders has an incredible eye for style and design, and Scarlett Johansson is badass as the Major. This film pulls from the 1995 film, Ghost in the Shell 2: Innocence, and Standalone Complex. The main antagonist is Kuze (Michael Pitt), who has a vendetta against Hanka Robotics (the company that made the Major into a “Ghost in the Shell”, a cyborg with a human brain). The acting is solid, and the fan service is fantastic. I do think the scandal surrounding the film ultimately hurt it, and if you’re not familiar with the original source material, you probably won’t like this film as much as I did. The latest film from Charlie McDowell has an interesting concept and a fantastic cast (Robert Redford, Rooney Mara, and Jason Segel), but is ultimately let down by bland acting and a slow pace. The premise of the film follows a doctor (Redford), who has discovered that there is actually an afterlife. People start committing suicide en masse. The scientist’s son (Segel) decides to investigate his father’s claims, while also falling for a woman (Mara) who herself has motivations about finding out the truth of his hypothesis. The final film in Sam Raimi’s original Evil Dead trilogy, Army of Darkness is good, cheesy fun. Ash (Bruce Campbell) finds himself transported to 1300 A.D., where he has to battle not only the demons that the Necronomicon has conjured, but also the Deadites, skeletons with a mission to get their bones on the evil, ancient book. Sure, the effects don’t hold up today, but it adds to the charm of the film. Bruce Campbell is a badass, and I haven’t had this much fun watching a film in a long time.